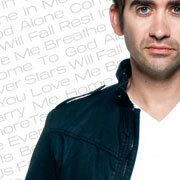 Aaron Shust delivers his third album in classic Shust style. Produced by Jason Ingram and Rusty Varenkamp, Take Over continues his Praise & Worship legacy, while expanding the songwriting boundaries. For this outing, Aaron co-wrote songs with Ingram, Brandon Heath, Matthew West ,Ian Eskelin, Matt Bronleewe and others.